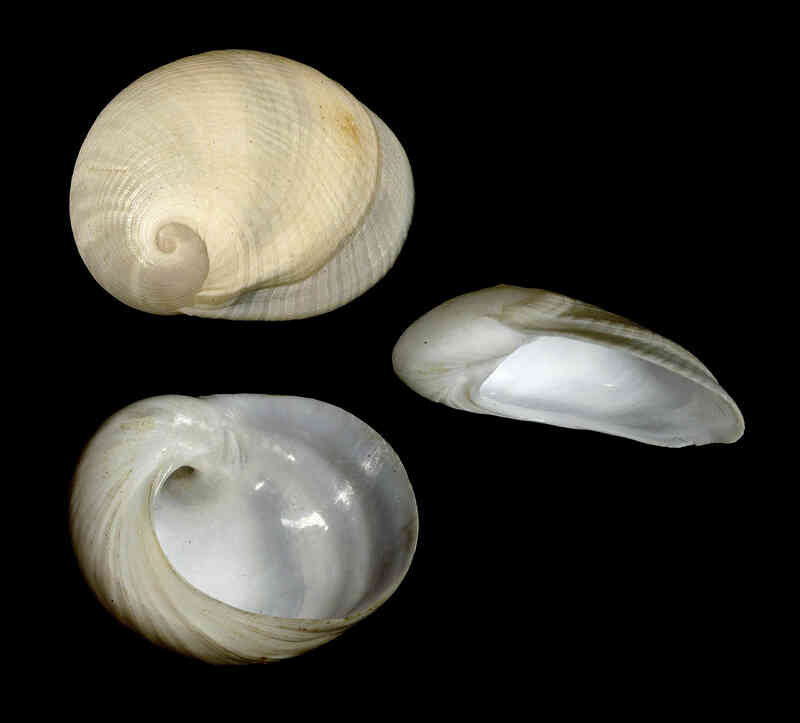 Shell size to 50 mm; shell flat, ovoid body whorl comprising most of shell. Very large, flared aperture. Sculpture of many impressed axial and transversal lines. Color milk white. Common sand-burrowing species. 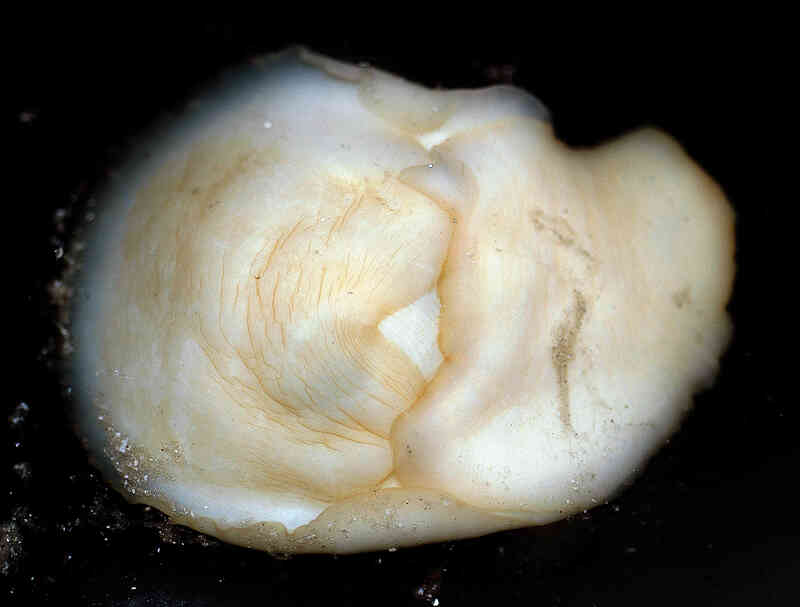 The mantle of the living snail almost completeley covers the shell, as shown in the picture.